The Casio WSD-F10 is Casio's first foray into the smartwatch market, and, as I said when it was first announced, it's one of the best Android Wear smartwatches I've ever seen (even to this day). 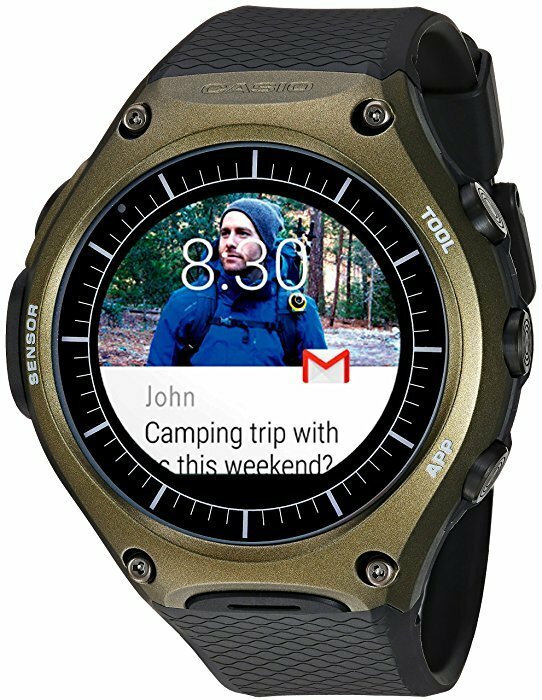 One reason for this view is that Casio didn't just have Android Wear as the platform but even provided its own customized apps for users so that wearing it doesn't just feel like "any old AW smartwatch." Sure, Casio could've given it a more recognizable and memorable name (letters and numbers as the name of a device aren't exactly good marketing for sure), but the device itself will leave a lasting impression. Sure, the watch is awesome, but up to this point has cost $500 for one. That, considering it only has Bluetooth connectivity (no 4G LTE here or even 3G data for that matter), is too steep in the minds of some individuals. Well, Amazon has a new deal for you that is designed to get you to hand over the dollars: Amazon has discounted the price of the Casio WSD-F10 down to $399, with a $100 discount off the Android Wear smartwatch. This means that you won't have to part ways with $500, but instead $400. I know, I know, some are thinking that this isn't a deal (or at least much of one), but it is a discount. Christmas and the holiday season are right around the corner and we don't know what the price will be then (which is something to consider), but the device itself is worth the price. Sure, it doesn't have a heart rate monitor, but it does have 50-meter water resistance, no need for a charging cradle (plug the device up to the wall socket), and two screens whereby the color LCD stops and the monochrome LCD takes over when battery life is low. This last feature is the best thing about the Casio WSD-F10; if you're someone who cherishes Casio watches, then you'll find the dual display feature to be a stroke of genius (I call it the ultimate analog smartwatch feature). Well, there's nothing else I need to say. Head on over to Amazon and claim your Casio smartwatch. Come back and let us know what made you decide to make the investment if you decide to do so.